Lead marketing, or lead generation marketing, is the process of stimulating the interest of potential customers and then converting them into buyers. This is usually done through different channels in online marketing. Marketing has changed and today’s customers research information about companies and products online, long before they ever contact a salesperson. They use search engines like Google, social media channels such as Facebook, and get information from the respective company’s website. Lead marketing aims to communicate with potential customers according to their stage in the buying process and then respond according to their needs. The aim of lead marketing is to convert prospects into customers, and the term ‘lead’ designates a qualifying prospective customer contact. For lead generation, the first requirement is to establish contact with potential customers and encourage them to provide personal data. Interested parties are encouraged to provide their contact information by downloading an e-book, subscribing to a newsletter, or signing up for a webinar. Once collected, this customer data can subsequently be used to set up relevant campaigns or passed on to the sales department. For sales, this offers the considerable advantage that these are no longer “cold contacts” but have become qualified prospects who have expressed their interest. Trade shows and conferences are also effective tools for lead generation, and affiliate marketing is a further method of generating leads. Participants in affiliate programs often receive a ‘fee per lead’, which means a commission per prospective contact acquired (for example, based on registrations or downloads). The use of relevant content is essential to generate high-quality leads. Rather than rushing in like a bull at a gate, it’s important to generate interest in the company’s products via quality content. Furthermore, it’s important to provide the right content to prospective buyers at the right contact points (touchpoints). Lead marketing is also about accompanying your prospects along their customer journey. So it is important to develop a relationship with your potential customer before making any kind of sales contact. Though each customer journey may be slightly different, this pathway can be roughly divided into certain phases. According to the well-known AIDA marketing formula, these correspond to: Attention – Interest – Desire – Action. During the ‘information research’ phase, the consumer needs to be addressed differently because he is yet to make a purchase decision. A keyword search can be used to identify and gather common search queries the user may employ, and you can then capture his attention with blog articles and videos offering solutions and illustrating product advantages. If the user has already sampled information from the company and found it useful, he may then request an e-book download or register for a newsletter. Once he provides his contact details, personalized marketing campaigns can then be set up via e-mail. Using content matched to each phase of the customer journey, his respective needs are taken into account at each point. The Customer Journey Content Map is one approach which explains how to develop relevant content for each stage in the buying process. In order to manage leads and address targeted contacts many companies use a customer relationship management (CRM) system such as Salesforce or a marketing automation software package like Marketo. These tools not only collate records on leads and customers, they can also store information about previous activities and interactions. This will allow you to manage and evaluate your leads, set up personalized campaigns, and initiate sales contacts at the appropriate time. Lead generation is a core task for acquiring new customers. However, lead marketing is not just about the initiation of contacts with the aim of turning them into sales, but it also concerns building long-term customer relationships. Because your potential customers’ awareness is so often awakened online, the quality of a company’s digital presence is especially important for successful lead marketing. In addition, companies must match their content according to the stage their potential customers have reached in the purchase process. Once you have gained the attention of these prospects, your qualified leads can be passed on to the sales department. Good cooperation between marketing and sales departments is an essential prerequisite for successful lead marketing. 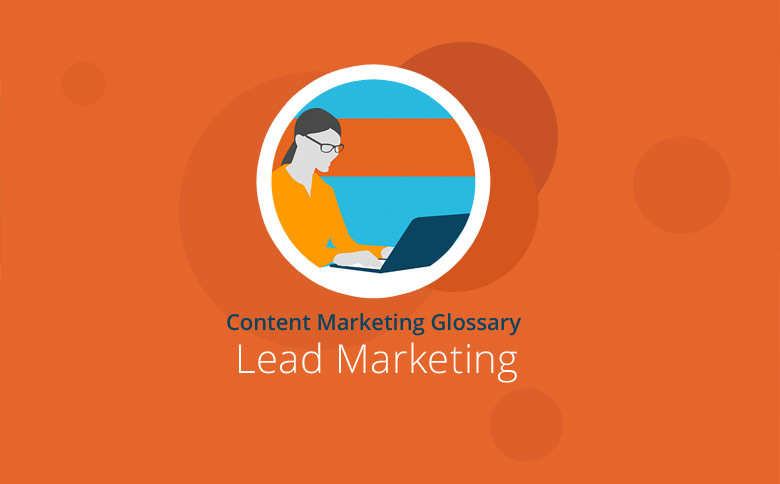 Many companies rely on Lead Management Software to support their lead marketing.